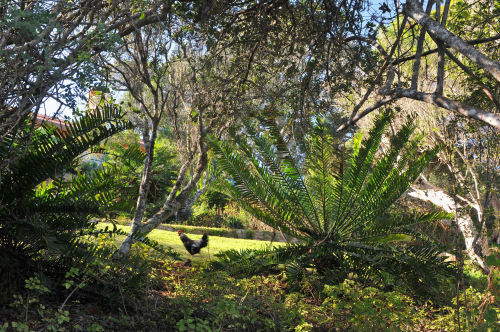 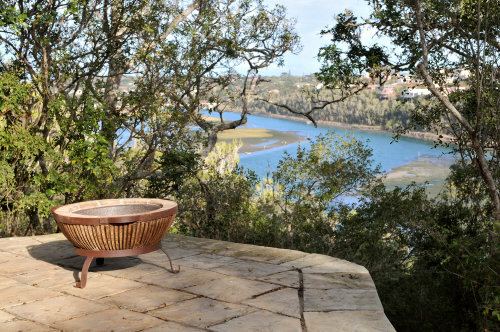 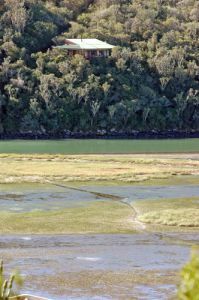 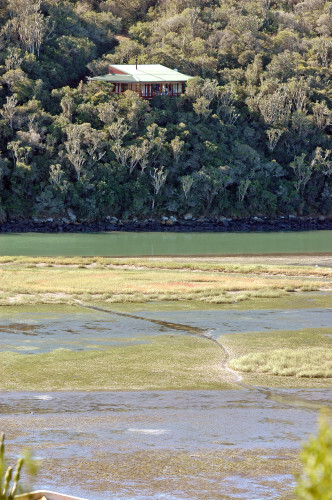 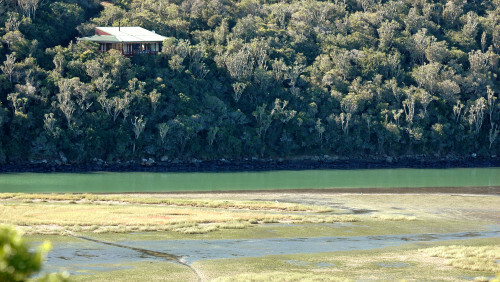 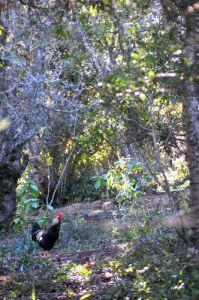 The cottage is nestled in indigenous forest overlooking the Bushman's River and offers spacious and comfortable accommodation. It consists of a main bedroom with king size bed and a twin room with two single beds. 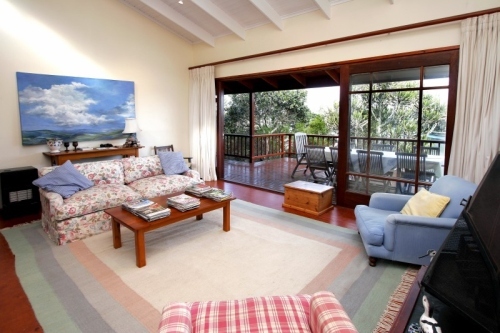 Both rooms lead out onto the wooden deck and have magnificent views over the river. 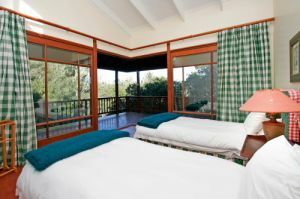 (Mattresses can be provided for additional persons). The cottage has two bathrooms, one with a bath and the other with a shower. 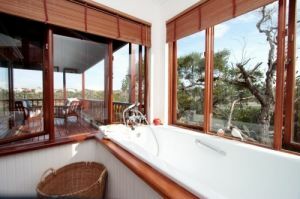 Relax in the bath and be absorbed by the beauty of your surroundings and the abundant bird life. The open-plan living area which opens onto the wooden deck, consists of a well-equipped kitchen, lounge with fireplace for the winter evenings, and dining area.